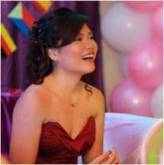 Many things come with wedding packages. It could be catering, styling, planning, etc. However, one thing that can be overlooked, since it’s such a detail, is the guest book. Most would think that this is just a regular fancy book where guests would sign their names. But it can be so much more than that. Wouldn’t you want a special reminder of all the people that supported the love you share with your partner? 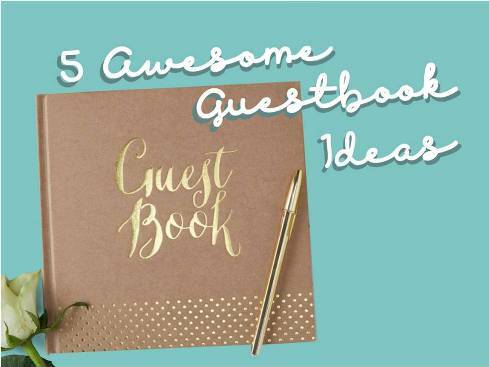 If so, then here are awesome guest book ideas for you to use. This is a great idea because of how personal it is. People can sign on the atlas based on where they came from; to signify how far they have gone to see you on your special day. They could also sign where they feel is special. Maybe in place where they met you and your partner for the first time, where you share a special memory, or where they know you would love to go in the future. If you love travel and/or vintage books, then this is the choice for you. Why not turn your guest book into something that can be a beautiful bookshelf decoration in the future? 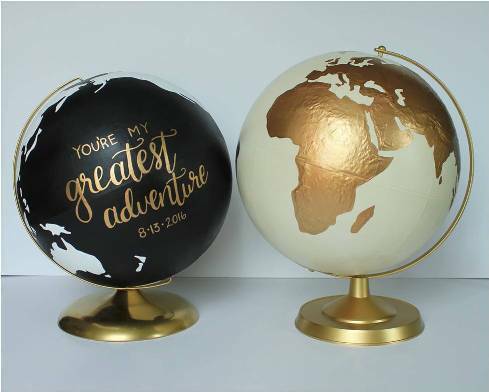 You can do this with a set of chalkboard painted globes. Have your guests sign this during your wedding day and bring it home afterwards to place on your bookshelf. Seeing this everyday will not only please your eyes, but also lift your heart because it’s a good reminded of your celebration of love. If you and your love have a fondness for wine, then you may have a number of bottles lying around; maybe even as home décor. You can use these as your guest book! People can sign on the bottle themselves. For this, be sure to use a metallic ink marker so that they can sign on the glass. However, you can opt for the message-in-a-bottle option. 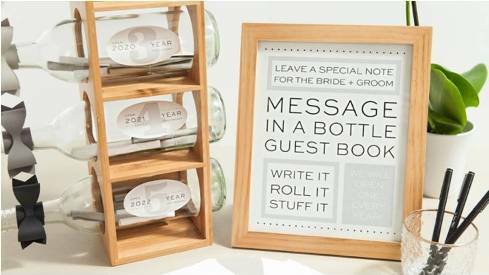 Simply have guests sign on rustic paper – maybe even top it off with a quill – so that they can roll it up and place it inside a wine bottle. It’s a tradition yet cool way to sign a guest book and, not to mention, very cheap to do. 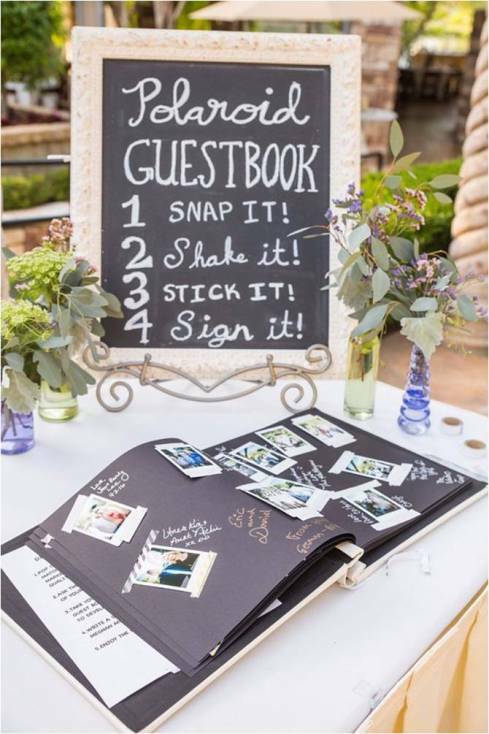 Who said you have to make a custom guest book for your attendees? Why not have them make one for you? 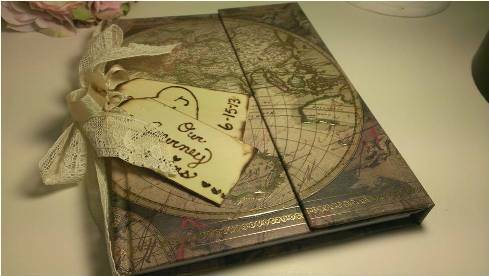 By providing them the materials needed to make an on-the-go scrapbook, you will encourage to make a guest book for you that both sides will enjoy. The Polaroid is so that they can take personal pictures of themselves and stick it on a page in the book with washi tape. Then they can leave their personal note to you right next to the Polaroid. The guest book can also be helpful for your marriage if this can give you advice from friends every day. You can do this with Advice Coasters! 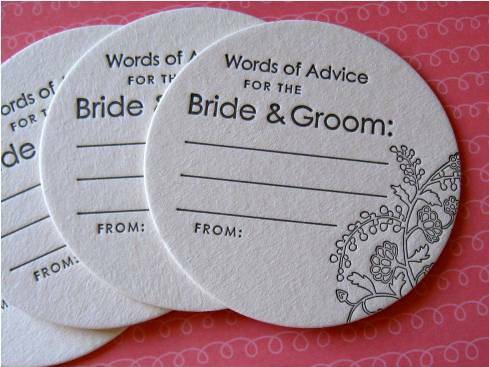 These are just customized blank coasters that have a text saying “Advice for the Newlyweds:” on the top and blank spaces below it. Your guests can give their friendly marriage advice to you and sign at the bottom. That way, you can bring this home and have a large supply of Advice Coasters. You can use these coasters every day and you will be reminded of how you can love your partner more and more each day. The guestbook is the only way you will know for sure who exactly took the time to celebrate the love you share with your partner. It’s only right to commemorate their support in a special way. Look at the suggestions above for some inspiration. Do you need an Essay Writer on whom you can rely? Check out http://www.myessaywriter.net for an elite Essay Writing Service. Students asking for someone to Write My Essay will be relieved after using this service.